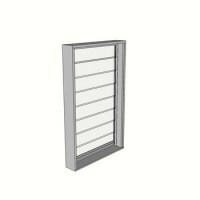 Item Notes - 1 Light Louvre Window 634mm High x 300mm Wide- 130mm Perimeter Frame- Comes Standard With Colour Matched Altair Louvre Gallery System, Including Handles And Clips- Blade Glass- 152mm Louvre Blades in Clear 6mm - Wind Rat.. 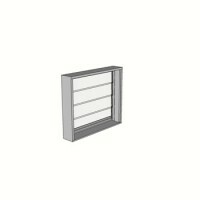 Item Notes - 1 Light Louvre Window 634mm High x 450mm Wide- 130mm Perimeter Frame- Comes Standard With Colour Matched Altair Louvre Gallery System, Including Handles And Clips- Blade Glass- 152mm Louvre Blades in Clear 6mm Toughened Safet.. 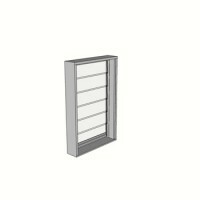 Item Notes - 1 Light Louvre Window 914mm High x 300mm Wide- 130mm Perimeter Frame- Comes Standard With Colour Matched Altair Louvre Gallery System, Including Handles And Clips- Blade Glass- 152mm Louvre Blades in Clear 6mm - Wind Rat.. 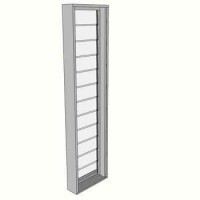 Item Notes - 1 Light Louvre Window 634mm High x 600mm Wide- 130mm Perimeter Frame- Comes Standard With Colour Matched Altair Louvre Gallery System, Including Handles And Clips- Blade Glass- 152mm Louvre Blades in Clear 6mm Toughened Safet.. Item Notes - 1 Light Louvre Window 634mm High x 750mm Wide- 130mm Perimeter Frame- Comes Standard With Colour Matched Altair Louvre Gallery System, Including Handles And Clips- Blade Glass- 152mm Louvre Blades in Clear 6mm Toughened Safet.. Item Notes - 1 Light Louvre Window 914mm High x 450mm Wide- 130mm Perimeter Frame- Comes Standard With Colour Matched Altair Louvre Gallery System, Including Handles And Clips- Blade Glass- 152mm Louvre Blades in Clear 6mm Toughened Safet.. 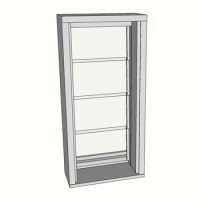 Item Notes - 1 Light Louvre Window 1194mm High x 300mm Wide- 130mm Perimeter Frame- Comes Standard With Colour Matched Altair Louvre Gallery System, Including Handles And Clips- Blade Glass- 152mm Louvre Blades in Clear 6mm - Wind Ra.. 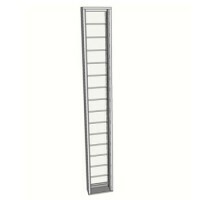 Item Notes - 1 Light Louvre Window 914mm High x 600mm Wide- 130mm Perimeter Frame- Comes Standard With Colour Matched Altair Louvre Gallery System, Including Handles And Clips- Blade Glass- 152mm Louvre Blades in Clear 6mm Toughened Safet.. 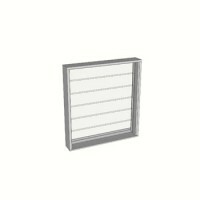 Item Notes - 1 Light Louvre Window 914mm High x 750mm Wide- 130mm Perimeter Frame- Comes Standard With Colour Matched Altair Louvre Gallery System, Including Handles And Clips- Blade Glass- 152mm Louvre Blades in Clear 6mm Toughened Safet.. 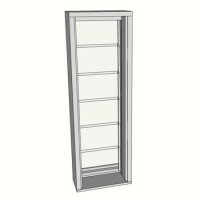 Item Notes - 1 Light Louvre Window 1194mm High x 450mm Wide- 130mm Perimeter Frame- Comes Standard With The Altair Louvre Gallery System, Including Handles And Clips. - White Handles And Clips Will Be Used When White Frame Colour Is .. 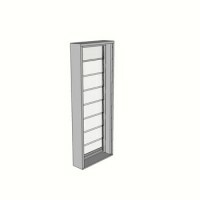 Item Notes - 1 Light Louvre Window 1194mm High x 600mm Wide- 130mm Perimeter Frame- Comes Standard With Colour Matched Altair Louvre Gallery System, Including Handles And Clips- Blade Glass- 152mm Louvre Blades in Clear 6mm Toughened Safe.. 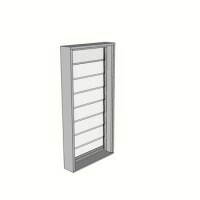 Item Notes - 1 Light Louvre Window 1754mm High x 300mm Wide- 130mm Perimeter Frame- Comes Standard With Colour Matched Altair Louvre Gallery System, Including Handles And Clips- Blade Glass- 152mm Louvre Blades in Clear 6mm - Wind Ra.. 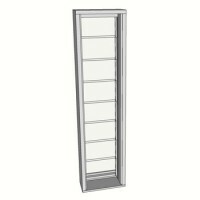 Item Notes - 1 Light Louvre Window 1194mm High x 750mm Wide- 130mm Perimeter Frame- Comes Standard With Colour Matched Altair Louvre Gallery System, Including Handles And Clips- Blade Glass- 152mm Louvre Blades in Clear 6mm Toughene.. Item Notes - 2 Light Louvre Window 634mm High x 1172mm Wide- 130mm Perimeter Frame- Comes Standard With Colour Matched Altair Louvre Gallery System, Including Handles And Clips- Blade Glass- 152mm Louvre Blades in Clear 6mm Toughened Safe.. Item Notes - 1 Light Louvre Window 1754mm High x 450mm Wide- 130mm Perimeter Frame- Comes Standard With Colour Matched Altair Louvre Gallery System, Including Handles And Clips- Blade Glass- 152mm Louvre Blades in Clear 6mm Toughened Safe.. 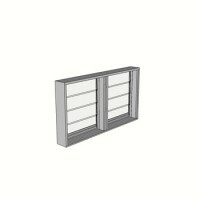 Item Notes - 1 Light Louvre Window 2174mm High x 300mm Wide- 130mm Perimeter Frame- Comes Standard With Colour Matched Altair Louvre Gallery System, Including Handles And Clips- Blade Glass- 152mm Louvre Blades in Clear 6mm - Wind Ra..